This entry was tagged buncrana, Donegal, humor, Humour, Inishowen, Ireland, trucker, Versatile blogger, writing. Bookmark the permalink. Oh my, Frankie. I’m honored. Truly. You have had a very busy evening. 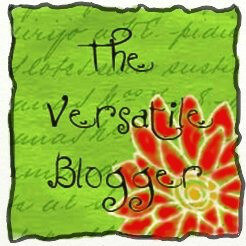 And for someone new to blogging, you are doing a bang up Irish job. You are a great storyteller and dedicated writer and sure deserve the award. Thanks. I will pass it on first thing tomorrow. I made those up. 🙂 I’m an atheist…..
Bravo! Just realised I am with you on random fact number 6. Really not comfortable with watching resuscitation on TV!! Fascinated by (and relate to) fact number 3. It seems conversing with people and being alone are polar opposites but perhaps they are similar in being in the moment. Definitely has me thinking (and learning more about myself)! Love the Celtic insights and the connection with the bible. Three hearty cheers for you! One great writer. Looking forward to reading more of your work. Such an exciting list of inspiring bloggers to check out in your nominations. I am enjoying your selection. I remember reading somewhere on your blog that you are also obsessed with mountains. We can share theories sometime. Congratulations, and thank you, Frankie! I agree that our meeting here was like starting up a conversation that was interrupted decades ago. I do enjoy finding a blogroll like this – I’m always looking for new people to read and to find inspiration! Here’s to many more posts each. Cheers! Congratulations, indeed you are worth the badge 🙂 Thank you for your nomination, it’s such a pleasant surprise! You’re welcome Dan. Well deserved.